Englishman and mountaineering enthusiast Richard Douglas blogs regularly about his forays into nature. His most recent post takes on darker overtones as he pens some last words to his wife Margaret. Dear M, Here’s a confession. Did I ever tell you that I’ve been afraid all my life? Afraid of the challenges, of just not being up to it. Afraid of failing and falling down. Being afraid doesn’t get you very far, so I sought to rid myself of this fear. That’s why I took up those activities that pushed me to the edge of my limits. Remember that November when we spent a weekend in Zermatt? I was there a day before you joined me. I started off in the late morning with the train from Bern to Zermatt. I had a hangover from four beers the previous night - simply drank too much after those nights of abstinence while being on-call. All my gear was stashed in a large backpack, and a group of Swiss asked me if I was going to the Matterhorn. Some Swiss people are going to be pretty annoyed with us for revealing their secrets. Hush..don’t tell anyone, but there’s more to Switzerland than skiing! And we don’t mean shopping for watches and staying in fancy hotels. 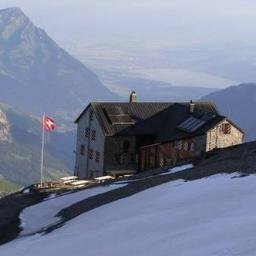 My plan was to head for the Schönbielhütte (2694m) and spend the night there. The hut would not be manned in winter, but would be a resting place. The route takes about four hours and runs parallel to the north face of the Matterhorn along a lake and glacier towards the hut. It’s an easy trail in summer, but this was November. Still, the snow was not high as I started off in the mid-afternoon and made good progress. Then, round a corner, the snow became knee-deep. I trudged on until the snow was up to my mid-thigh, but it was getting darker close to the evening. I realized that I would not make it to the hut and that it was too late to turn back. I would have to rough it out in the cold. As luck would have it, I sighted the entrance to one of those Swiss bunkers they have tucked away in the mountains. It was locked of course, but the cove offered enough protection from the wind and other elements. I packed out my mat and put on everything I had - two pairs of trousers, two jackets, two pairs of gloves. After nibbling on muesli bars and sipping isotonic energy drinks, I slept quite peacefully, tucked up in my sleeping bag. I did wake up once in the night to the roaring of several avalanches, most likely washing down the north face of the Matterhorn. A snow storm passed in the early morning and when I got up at 8am ready to break off, you could hardly see anything. I was afraid of losing orientation. With only about 50m sight, I couldn’t see anything, let alone the Matterhorn, and my tracks from yesterday afternoon were gone. Nothing left but to test my way gingerly on the edge and keep the height. When I reached Zmutt, the weather got better. No problem making my way back to Zermatt for an afternoon coffee and a stop in the church. When I later shared the story with my Swiss friends, they laughed. Seasoned mountain folk have seen worse things. For my next birthday, they gave me a pocket oven, a dozen flares and a subscription for the Swiss Rega, the vanguard of mountain search and rescue. In January, I was in Kandersteg again. There had been little snow that winter and the trails were clear. But the very next day, it started snowing and there was 5 to 10cm of snow. Heading for the Blüemlisalphütte from Oeschinensee, I met two hikers from Zurich. They had mountain boots on, but with jeans and rather flimsy jackets, apparently not the sort of Swiss you usually meet on alpine trails. I asked them if they wanted to join me, but they were headed lower. There’s a lower trail around Oeschinensee and another one higher up that’s the standard route in summer. I found the higher trail that was cut narrowly into the cliff and 30cm wide. It was all iced grass and I could have slided deep down into nothing. I started to veer away from the trail into wilder terrain, thinking that a shortcut would help. On a steep slope, I slipped and started sliding. There was nothing to hold on to, but I saw a large stone ahead. I figured that if my left foot caught the stone, this would break the slide, so I pinpointed all my energy on that. Whoosh! The stone fell away, but the impact was enough to bring me to a stop, barely. I turned around carefully. I had lost a hiking pole, which lay a bit further down. I figured I had to get it back because I would need it later, so I lowered myself gingerly, picked up the stick and made my way up again back to the makeshift trail. Adrenaline gives you strength and blacks out pain - it was only then that I noticed I’d injured my right hand on the little finger, which was bleeding. It was afternoon and the conditions had changed. The ice had melted and then re-froze, which meant that the way back was worse. I fell two more times along the way. The first could have killed me. I ended up lying on the narrow iced trail knowing that I would fall into dead space if I turned over too quickly. My only thought was to get out of danger and I almost jogged the rest of the way. I was very relieved when the conditions got better around a corner. I fell again, this time from sheer exhaustion. I did not make it to the Blüemlisalphütte. This was the second time that I had failed in winter, after having basically jogged up once in summertime. But I had realized something: I could stay calm in the face of danger and still think straight. You don’t need to go looking for adventures. They’ll find you anyway. I was glad when I got down to the valley again. I stopped at the little chapel - for a moment of silence, reverence for the still nature that holds more power even without trying, gratitude for experiencing the ups and downs that I did and being able to speak about them. Why should I be afraid of anything or anyone? All that we have is given. I just ask for the fortitude to give it back with an open palm when the time comes. Thanks for joining me on the road, M. I’ll cherish all the walks and hikes that we did together, especially the ones where I challenged you to go beyond your limits. You’ll be fine on your own. You’re better, stronger and more resilient than you think. Forget the fear and the angst. I’ll watch over you. Even when I’m when somewhere out there in the dark mountains.